Check out Tobi's Hauser High Rise Girlfriend Jean Hello mom jeans. Slip into the Hauser High Rise Light Wash Girlfriend Jeans and feel all kinds of comfort. These ankle length jeans feature light distressing in the front and back, high waisted construction, and medium wash. These distressed mom jeans will look stunning with striped crop top for a chic retro look. Hello mom jeans. Slip into the Hauser High Rise Light Wash Girlfriend Jeans and feel all kinds of comfort. These ankle length jeans feature light distressing in the front and back, high waisted construction, and medium wash. 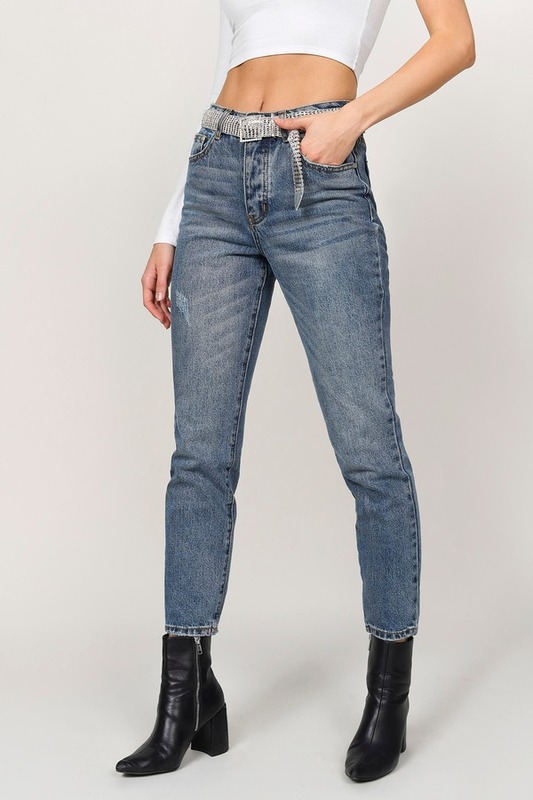 These distressed mom jeans will look stunning with striped crop top for a chic retro look.